Your eye examination appointment will take around 20-30 minutes depending on the number of different tests that your optometrist needs to perform. In addition to checking your vision, further examinations will be carried out to determine the health of your eyes and to look for any other potential symptoms of general health issues. Feel free to ask any questions at any time during your eye examination if you are unsure of anything. Eye examinations are either carried out routinely or because there is a specific concern about vision or eye health. Your optometrist will need to ask a series of questions relating to your general health (including any medication you are taking), whether you suffer from headaches, or have any close relatives with a history of eye problems or other health conditions such as diabetes. If you already wear glasses or contact lenses, it is advisable to bring these with you. There are two parts to your eye examination. Firstly the optometrist will look at the external part of the eye including the eyelid, eye and surrounding tissues. The interior structure of your eye will be also examined, which allows the optometrist to view the fundus of the eye and other internal structures. This part of the eye examination is crucial in determining the health of the retina and the vitreous humor (the clear fluid between the lens and the retina of the eye). Your pupil reflexes will also be tested. Secondly, the optometrist will test the focus and alignment of the eyes. You may require eye drops to dilate your pupils in order to get the best internal view of your eyes, children may also need eyedrops to complete the examination. Dilation eye drops are not painful but your vision could be a little blurred for a short period of time after the drops are applied and your eyes will be sensitive to strong light, therefore it is not recommended that you drive immediately after your appointment. Another important aspect of our eye examination (particularly in children) is to check that your eyes are working together and that there are no issues or weaknesses with eye muscles. Working with VDU equipment in particular requires good muscle balance. What if I need glasses or contact lenses? After your eye test, we will be happy to offer our assistance with selecting your glasses or contact lenses should you require them. We will also advise you of when you should attend for your next examination. 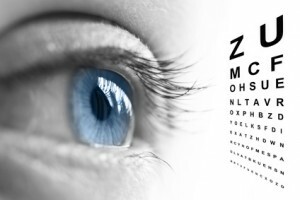 Should any eye conditions be identified, we may refer you to your doctor for further assessment and medical treatment.